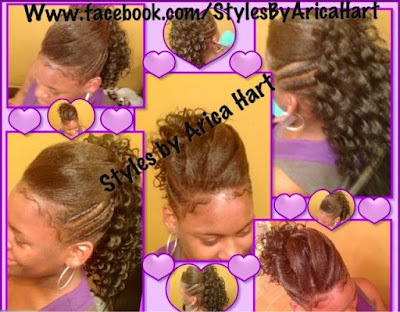 Mohawk hair styles vary in many different ways; such as, curls, crimps, weaves, braids and more. 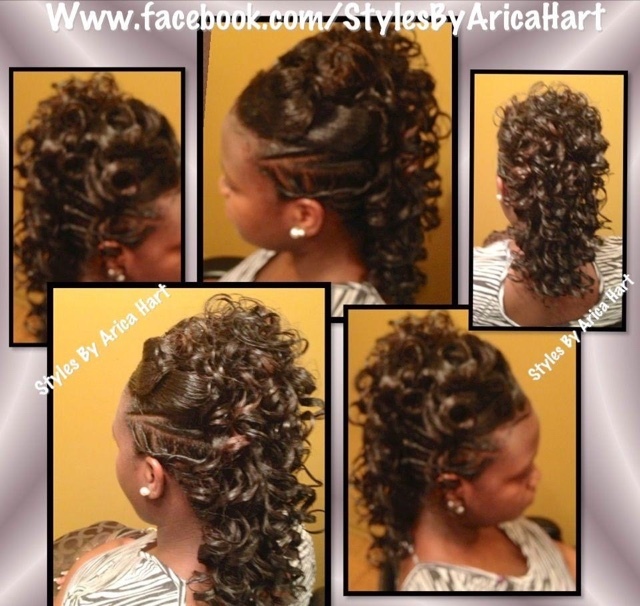 Are you ready for something trendy? 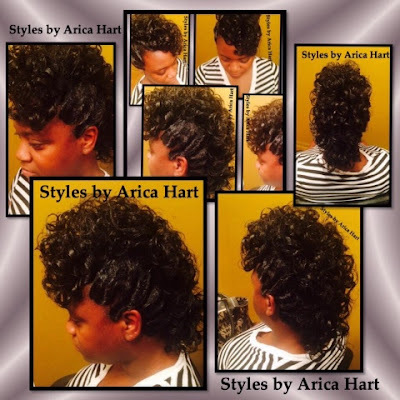 Are you ready to let your beautiful hair be styled into a mohawk hair style? 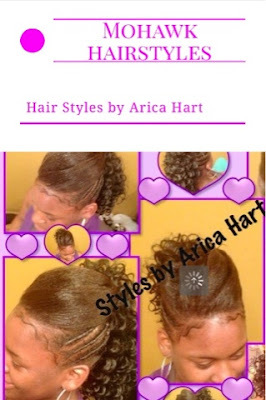 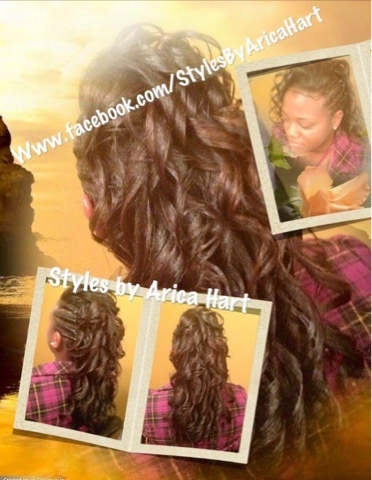 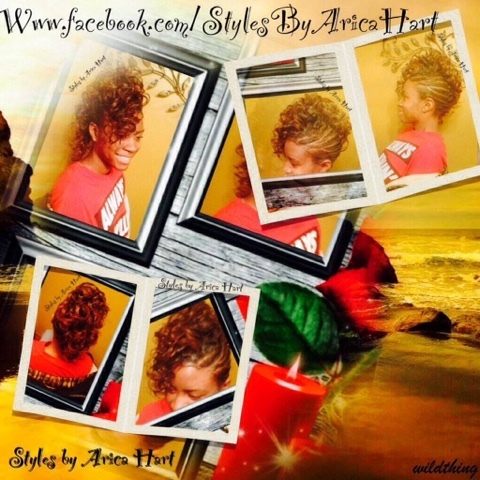 Mohawk hair styles by Arica Hart. Take a look at these curly Mohawk hair styles. Don't forget you can find me on my social media sites or give me a call to schedule you an appointment for your hair Styles by Arica Hart. 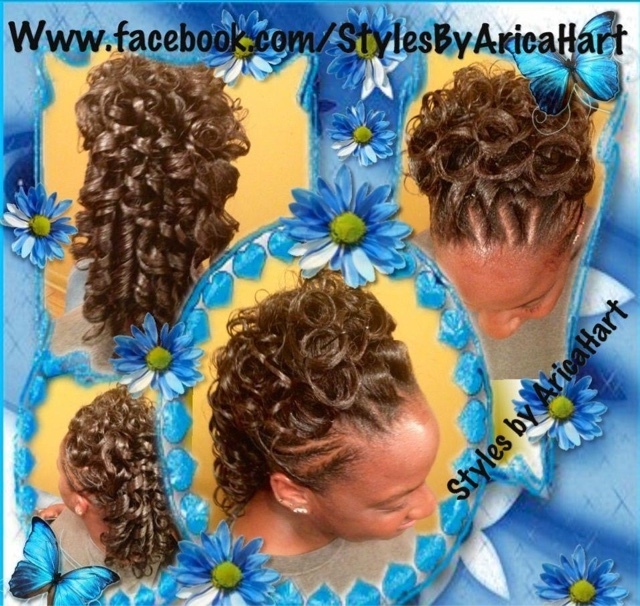 A creative mohawk with twist and braids to captivate an audience!